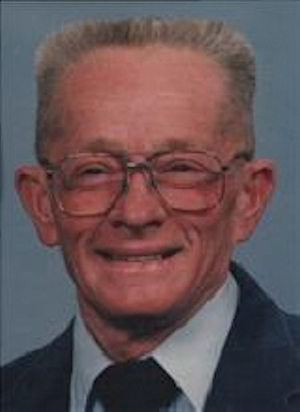 Obituary – Heppler, Alphonse Gerard « Perry High School Alumni Association, Inc.
Alphonse (Al) Gerard Heppler, 75, of Perry passed from this life on November 30, 2012 surrounded by those he loved. Services have been entrusted to the care of Palmer Marler Funeral Home and will be held at 2:00pm Wednesday, December 5, 2012 at St. Rose of Lima Catholic Church in Perry. Public visitation will be held Monday, December 3, 2012 and Tuesday, December 4, 2012 from 9am-8pm at the funeral home at 203 Fir Street in Perry. A Rosary will be held at 7:00pm Tuesday evening at St. Rose of Lima Catholic Church. In lieu of flowers the family requests donations be made to Perry Kids Incorporated Baseball ages 8, 10, and 12. Al Heppler was born on September 9, 1937 in Wichita, KS to Nicholas William and Susan Catherine (Pantenburg) Heppler. The family moved to Noble County where they had a family farm. 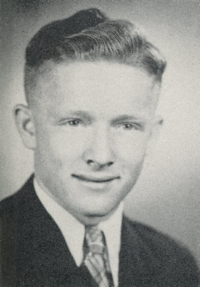 Al completed high school in Perry and after graduation enlisted in the United States Army in 1955. He attended basic training at Ft. Chaffee, AR and was stationed in Huntsville, AL where he served as a certified machinist. He received the rank of Specialist Fifth Class before being honorably discharged from the US Army in 1958. On April 12, 1958, Al married the love of his life and his high school sweetheart, Ethel Bower. On October of 1958, Al opened Heppler”s Machine Shop in Perry, OK where he has worked for the past 54 years. For the last 40 years, Al has worked side by side with his son, Tony. Tony can count on one hand the number of times that Al has missed a day”s work and Al instilled a fierce work ethic in his children and grandchildren. Al enjoyed coaching baseball and softball and also supported Perry 4-H, FFA, and spent many years as a Cub Scout Master. Al loved to fish and to be outdoors, but he was never happier then when he was surrounded by his children and grandchildren. Al was an extremely generous man who was very private. He was ornery, loved to make friends smile, and was as stubborn as he was humble. Al cared deeply about his family and he loved his wife Ethel as much on the day he died as he did on the day they were married. Two days before his passing, Al ordered flowers and had them delivered to Ethel at their home. Al Heppler was a dedicated husband, a loving father, a supportive grandpa, a caring brother, and a loyal friend. He will be missed by all those fortunate enough to have known him. Al was preceded in death by his parents: Nicholas and Susan Heppler, a sister: Susan Johndrow, a brother: Butch Heppler, brother-in-law: Bob Bower, father-in-law: Floyd Bower, niece: Kim Bryce, and nephew: TJ Palmer. Al is survived by his wife Ethel Bower Heppler, of the home. A daughter: Alphreda “Stinky” Layton and husband Kenny, of Perry. A son: Tony “Poncho” Gerard Heppler, of Perry. Brother: Bernard Heppler and wife Enid, of Perry. Sisters: Catherine McCollum of Cairo, West Virginia, and LaVeda Bryce of Winfield, Kansas. Brother-in-law: Robert Johndrow of Ark City, Kansas. Sister-in-law Sharon Heppler Grandchildren: Joshua Lee “Worm” Layton and girlfriend Hailey Walton of Tulsa, OK, Carl Jerard (CJ) “Bubba” Layton and girlfriend Marissa Cole of Perry, Leigha Dawn “Snookers” Layton of Perkins, and Katlin Renae “Bear” Layton and boyfriend Earnest Standokes of Perry. Great Granddaughters: Emma and Anna. Mother in law: Margie Bower,of Perry. Sister in law: Betty Dailey and husband Jon, of Perry. Brother in law: Jack Bower and wife Evelyn, of Grove, OK. His bestfriend and loyal companion: Short the dog.